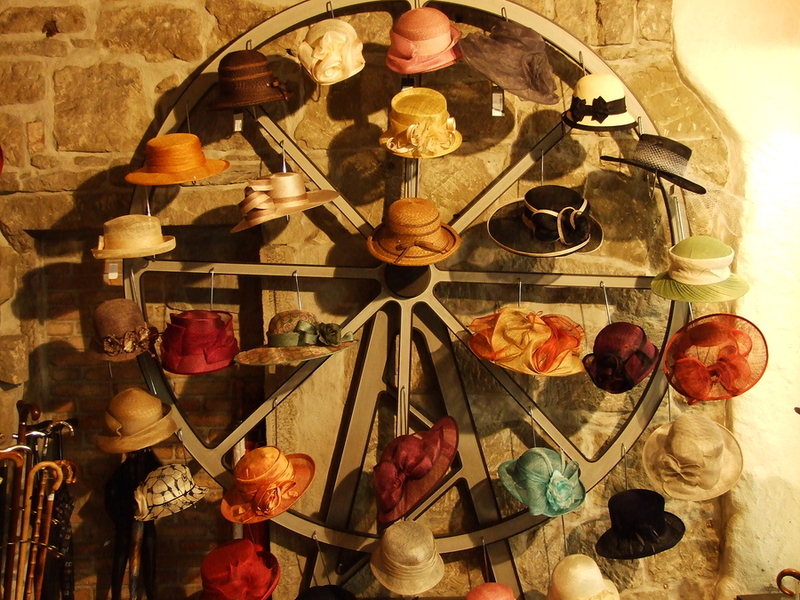 Why Do Sacramento Realtors Try to Wear So Many Hats? Often I wonder: why do Sacramento Realtors try to wear so many hats? But then I think back to when I started in real estate in the 1970s. I wore every hat I could get my hands on, and some hats simultaneously. 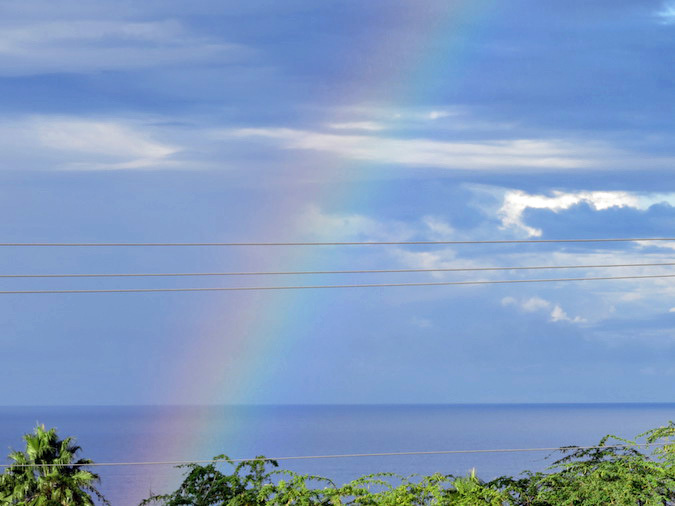 Rainbow after the rain in Kona, Hawaii, after not making Sacramento sellers close escrow. Let us be very clear that I am not an agent who believes in making Sacramento sellers close escrow, especially when it is not in the seller’s best interest. I don’t know why this attitude should come as a surprise to so many buyer agents. But maybe, on second thought, they get their knickers in a twist because they can’t fathom it. Perhaps making Sacramento sellers close escrow seems normal to them. Too focused on that paycheck. These agents do not understand that by focusing on their client and not on the financial reward, they could buy a house in Hawaii, for example. Just sayin’. No way, Jose, will I tell a seller to bend to a buyer’s demands. Usually, the only recourse a buyer has in his pocket is to threaten to cancel escrow. When you look at the idiocy of that strategy, well, you know who loses, right? Not the seller, I can tell you that. Escrow is not a precious commodity. No coddling required. Buyers either perform or they do not. Yeah, right, just cut off your nose to spite your face. Yet, I still get agents complaining to me. They want me to cooperate, which means give their buyer what their buyer demands. I’d like to say excuse me? Whom do I represent? I do not represent your buyer, and I do not need to make my seller understand your point of view. No Realtor code of ethics exists that says I have to plead a buyer’s case to a seller. Sellers can read inspection reports. They have eyeballs in their heads. If they agree to sell a home in its AS IS condition, we don’t care if buyers find dead bodies in the basement, no preferential buyer treatment. Lately, agents tend to repeat the same things over and over. Like they don’t have any creativity nor possess strong negotiation skills. They lament: who will buy this home if we do not? Well, good question. Just about any other buyer. I look at short days on market, limited inventory, high buyer demand. Then I glance over at whiney buyer in the corner, trying her best to squeeze more out of the transaction in her favor. You know what looks more attractive? Better than making Sacramento sellers to close escrow? To find a new buyer, an appreciative and excited buyer. We lose only a couple of weeks. Still a hot seller’s market. 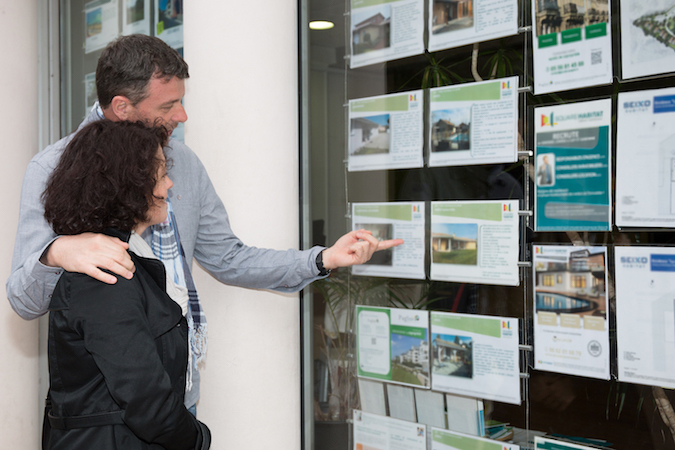 As a top listing specialist, I will recommend this approach every time. Your home might not need home staging to sell. Do you know how you can tell? Well, for starters, you probably can’t on your own. But if you ask a top Sacramento Realtor whose specialty is solely working with sellers, I bet she can tell you. When your entire focus in Sacramento real estate is listing homes and selling them — and you don’t work with buyers — you view the world through a dedicated lens. You see things differently than other agents. At least that is the case with me. I can tell you in a heartbeat if your home does not need home staging to sell. Some homes do not require home staging, and since part of my goal is to increase net profit for a seller, I’m not sending them down that path in every situation. Because some situations simply don’t call for home staging. Oh, you’ll hear agents say every home shows better with home staging, and that’s not entirely true. For example, tiny, small homes don’t always show better with staging. Too much furniture can crowd a small house. It can make a small house appear even smaller. A buyer will never know she can’t fit a bed in a small bedroom if there isn’t a bed there. Two homes that I’m presently working on listing don’t need staging and for different reasons. One home is unique, with vintage designer wallpaper. Wood windows. Wood ceiling, beams and fancy millwork. Random planked floors. Handmade braided rag floor covering, wall-to-wall. It’s a special storybook house. Staging might detract from the period and make the home seem smaller. It’s not that large to start with. Another home features a long room at the entrance, with a delightful bonus view through French doors at the other end. That’s the selling feature. The million dollar shot. I explained to that seller that she should stage the living room / dining area, separating the two spaces. While she does not need home staging to sell, she should stage that very important first impression space. Bring into focus the original fireplace and send the view out into the back yard. This seller was excited when she called yesterday to say she met with my preferred home stager. The stager not only promised to stage the living area, but she threw in for free the staging of a yoga studio out back. As a bonus for the seller, she said, because I refer so much business to the stager. She makes me look good, and my seller is very happy! If you really want to know if you need home staging to sell, ask an experienced Realtor for her opinion. In our present seller’s market, it is possible your home does not need home staging to sell. The Weintraub cats snoozing on a Sunday afternoon, Jackson, Tessa and Horatio. 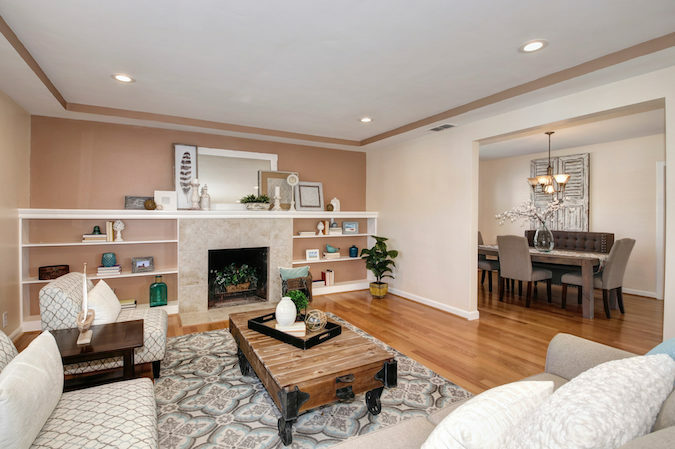 To customize a Sacramento listing, especially to target certain buyers, you’ve got to know your audience. That’s the first rule of listing customization. When I walk into a home for a listing presentation, I pay close attention to the way the home is decorated and to the people who live in it. I am replacing the people who live in it with new people. And for most practical purposes, the new people generally tend to share things in common with the existing homeowners. People who are alike gravitate toward certain products. Once you know your audience, that is the buyers you want to target, you can design a marketing campaign to reach those people. It can be simple things from the way the home is presented in MLS, to the words chosen to describe it and the places where buyers find the home. Or, it can be more complicated and marketed to specific mailing lists. Each listing I take is different because the people and the homes are different. I think about the preferences in music, books, TV Shows, extracurricular activities of my targeted buyers. I would like to believe that all Realtors will customize Sacramento listings, but I know they do not. Some walk through the home and shoot vertical cellphone pictures. I don’t know how they sleep with themselves at night. As hokey as it sounds, each home has a certain feel to it. My plan is to turn that emotion into buying verbiage. To present the benefits in such a way my targeted buyers feel they absolutely must go see the home. I stand in the home and absorb it. The second way to customize Sacramento listings is to find that one thing that propels purchasing buyer. There is always something. For example, it’s a known fact that buyers generally know whether they want to buy a home within the first 3 seconds of entering the home. It’s my job to find what they spot or feel during that first 3 seconds and transform that energy into clarity for them. I don’t want buyers to second guess. It should be right in front of them. Easily understandable. There is always a way to make things work. The third way to customize Sacramento listings is to get rid of the things that interfere with the first two rules. When we decided to adopt a third cat in our household, we needed the perfect cat that would blend in with our existing two cats. Our adoption wasn’t just about Horatio, we had to take Tessa and Jackson into consideration. But, hey, that thought process paid off. 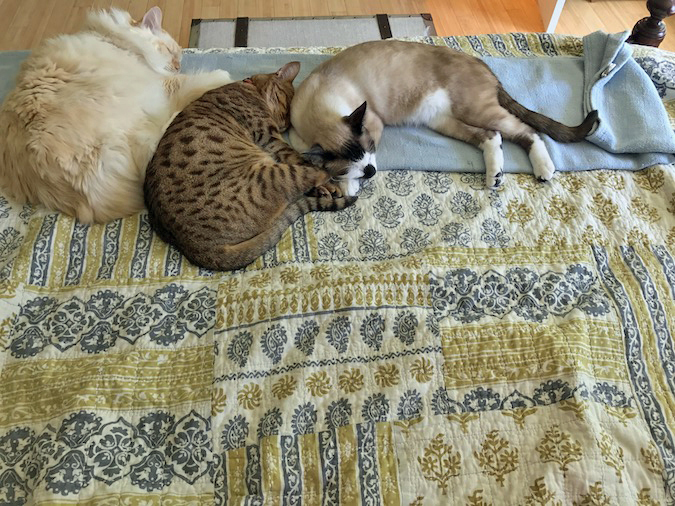 Look at how well those three cats sleep together now. If you’re looking to sell a home in Sacramento, why not call a Sacramento Realtor who treats each listing as a precious commodity that deserves her 100% attention? Put 43 years of experience to work for you. Call Elizabeth Weintraub at 916.233.6759.